Yes. You read that title correctly. This is a thing. A real thing, and it works. Justin didn’t believe me (in fact, he was pretty much appalled by the idea of cooking food in the dishwasher, especially since you clean your dishes while doing it!) But, it works! and it didn’t turn out too bad! Ingredient shot. Salmon. 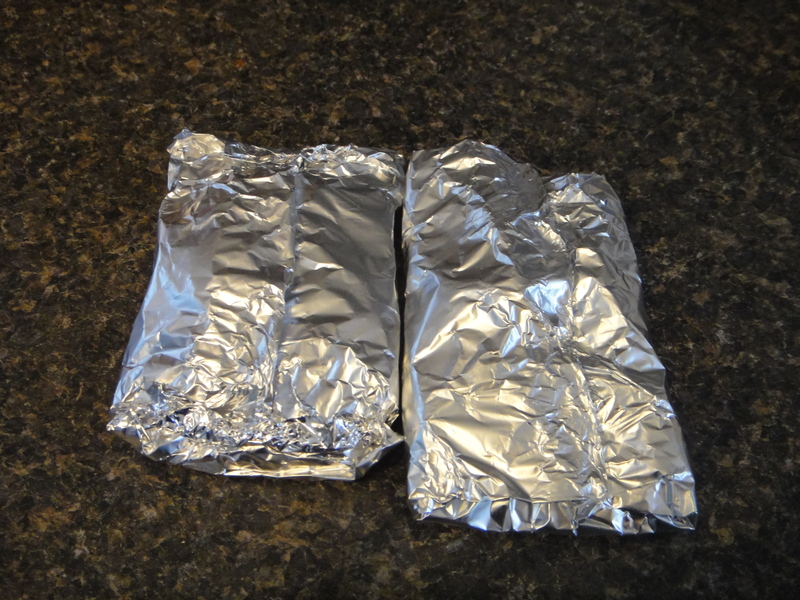 Tinfoil, and butter. 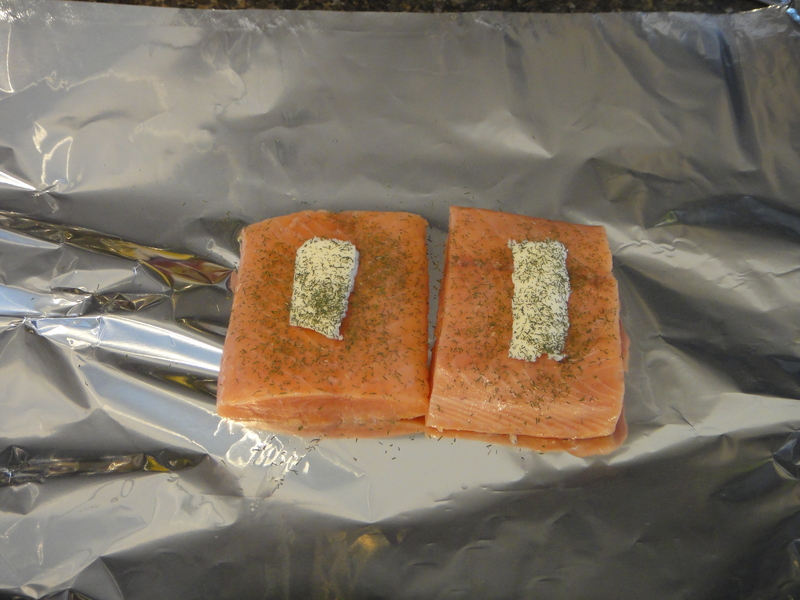 Put a little bit of butter on the salmon filets, and top with dill. Next, stick it in your dishwasher (on the top rack) and turn it on. 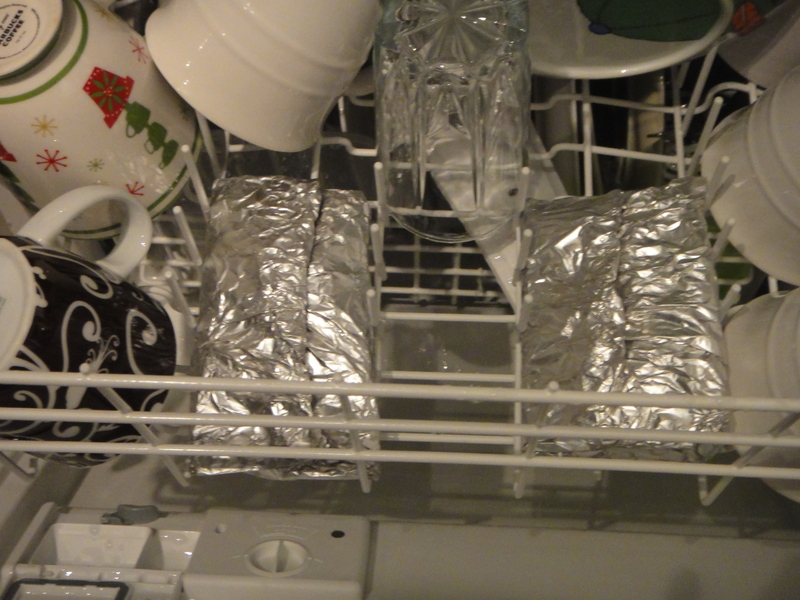 Make sure to secure the dishes so nothing goes flying around to pierce the foil packets. While it was running, I made a sauce to go on top. 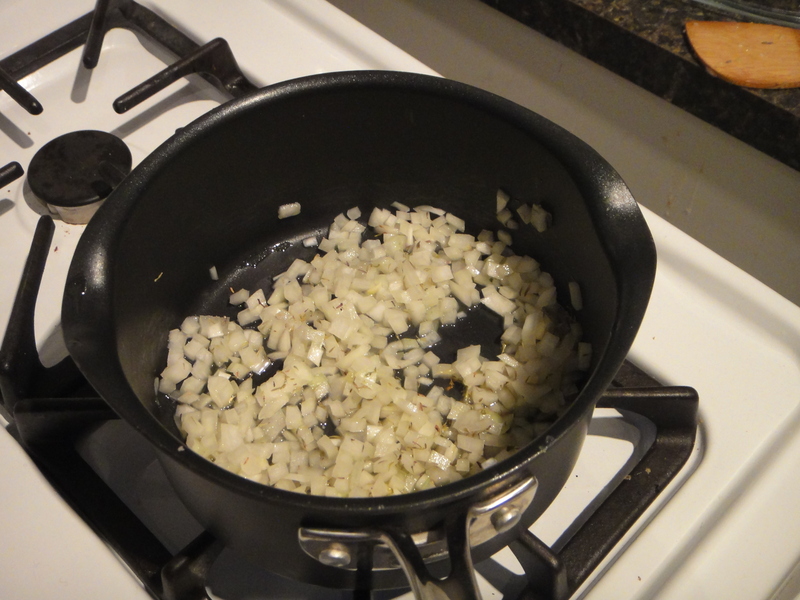 Start by melting some butter and mincing a small onion. Cook it down a bit. Add white wine and let it simmer for a while. 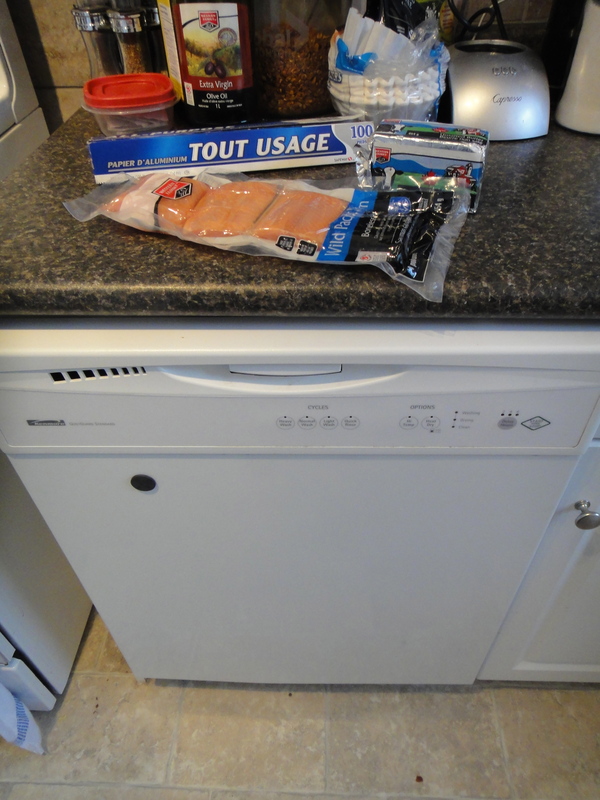 At the end of the cycle, your dishes should be clean and your salmon should be ready. Ta-da! Cooked salmon! It was a little over done. Next time I make this, I’ll turn it on a light load. Serve with the sauce for a tasty, utilitarian meal. 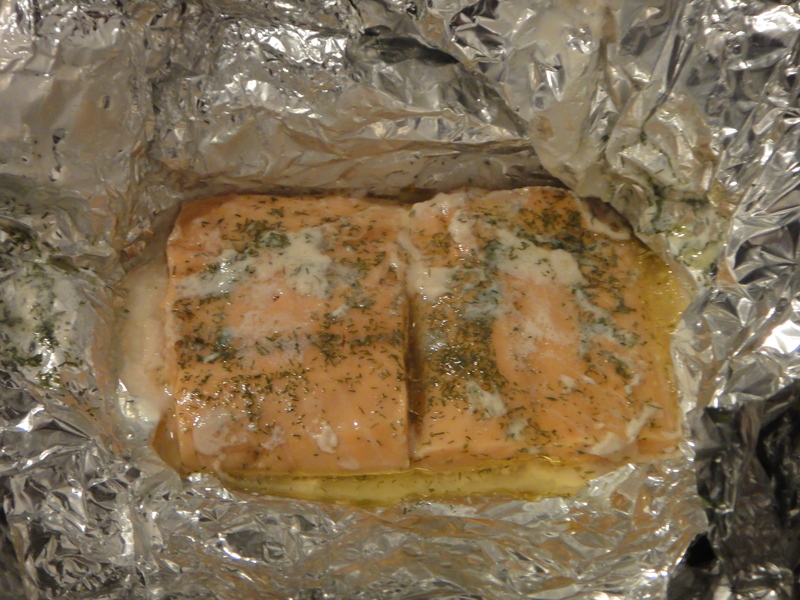 Place salmon on two sheets of tinfoil and top with butter and dill. Wrap tightly, making sure there are no seems. 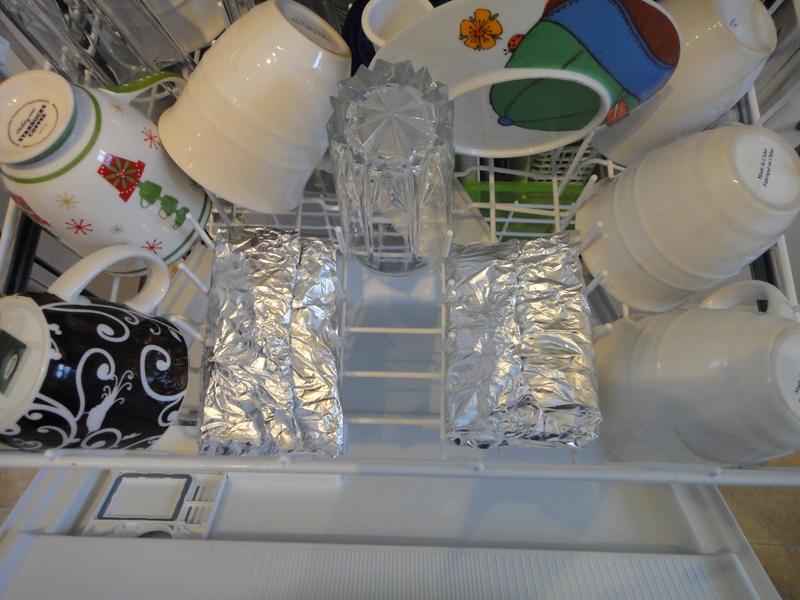 Place on top crack on dishwasher, add soap and dishes, and turn on a regular cycle or light cycle. While the dishwasher is going, make your sauce. 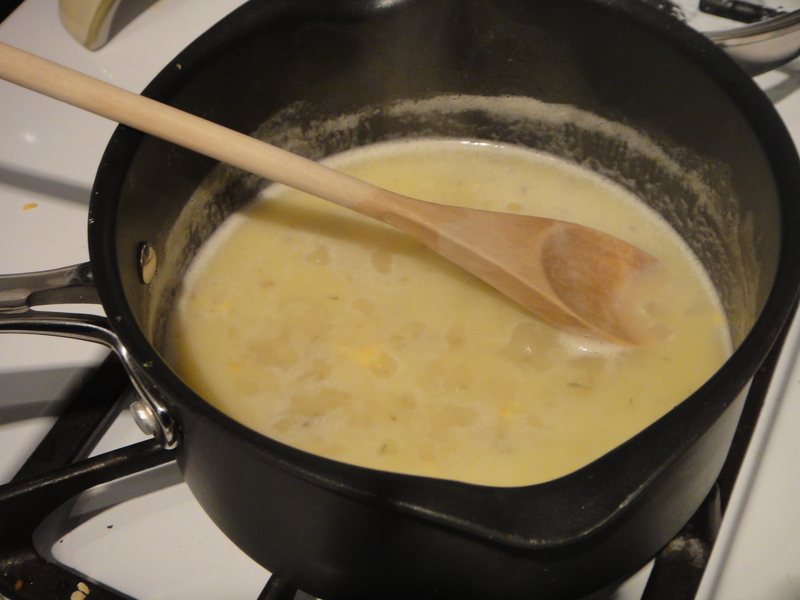 Melt butter and cook onion for 2 mins. Add wine and tarragon. Simmer for a while. 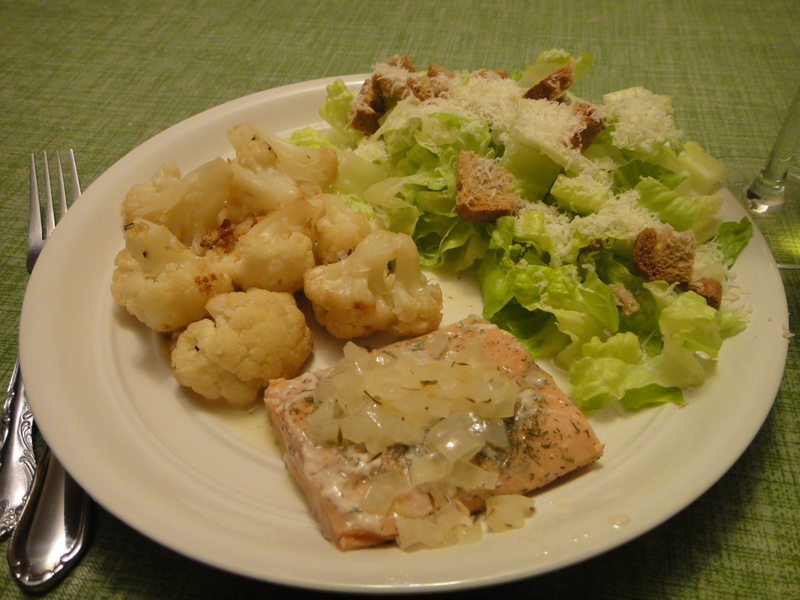 When your dishes are done, serve salmon warm with sauce, and any sides you like. Enjoy! As this was the first Christmas Justin and I spent in our new home, I wanted to make something extra special for Christmas morning breakfast. 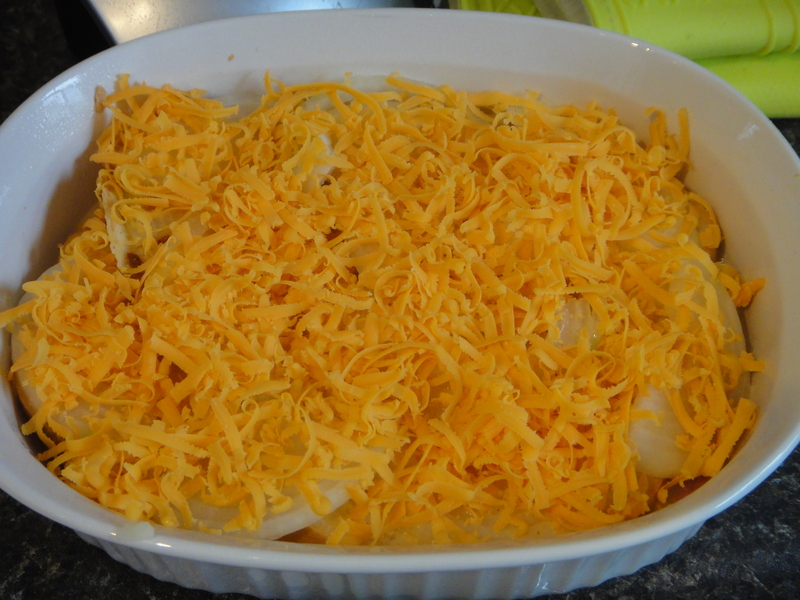 This casserole was super easy to make, and can be made a day ahead, so that all you have to do on Christmas morning is make coffee and pop it in the oven, leaving plenty of time to open gifts while it cooks. Ingredient shot – Pretty simple, really. 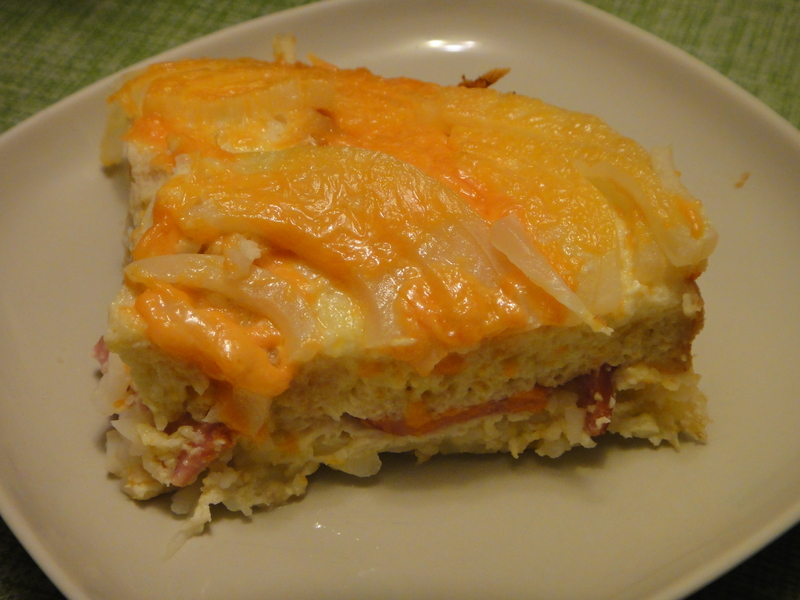 First, spray the bottom of a casserole dish, then sprinkle the hash browns at the bottom of the dish. 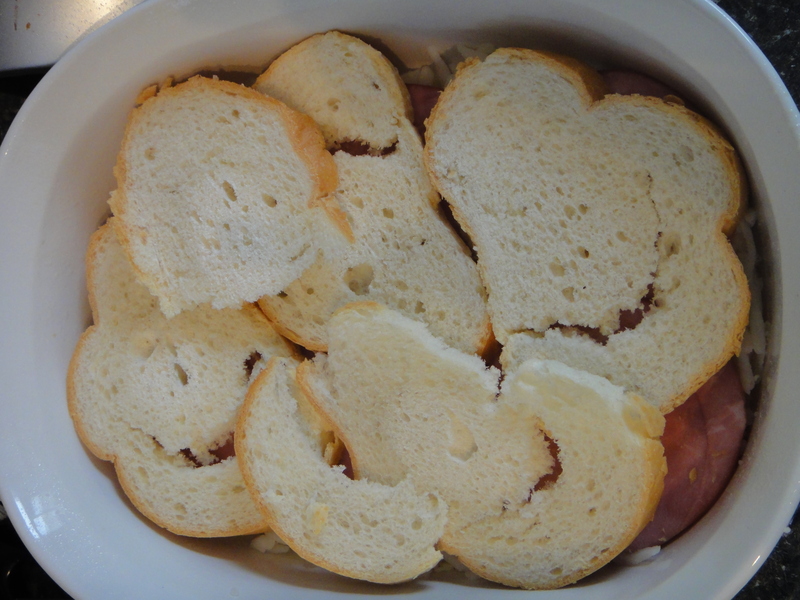 Next, slice a bunch of bread and add as another layer. 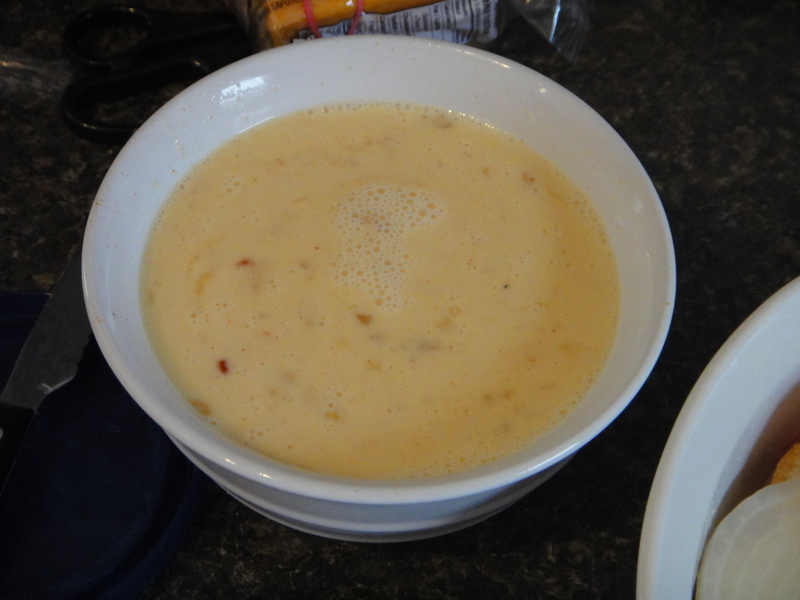 Then, crack 8 eggs into a bowl, whisk, then add 1 cup of milk. Slice the onion thinly and lay out on top. Pour the eggs over the whole thing. Bake until it’s set and not giggly any more. Serve with coffee on Christmas morning. 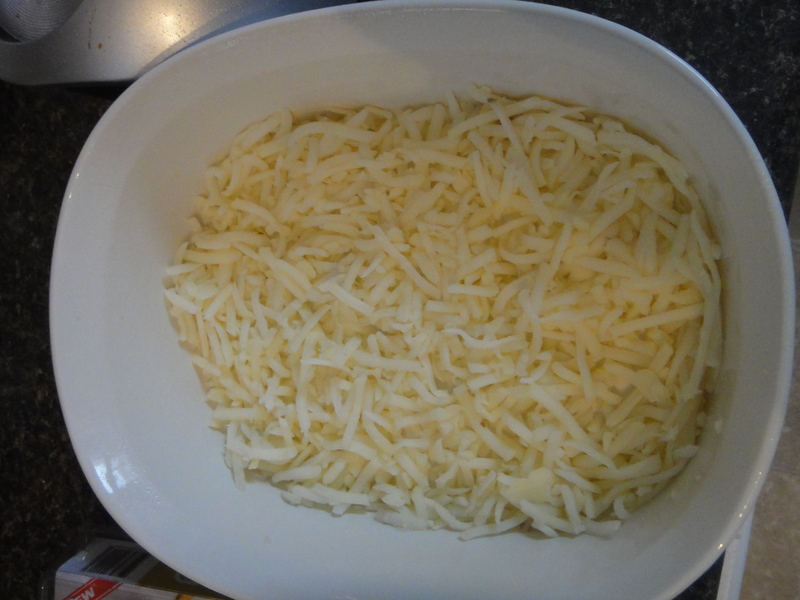 1 cup of aged cheddar, grated. Spray a large casserole dish. Add hash browns to bottom. 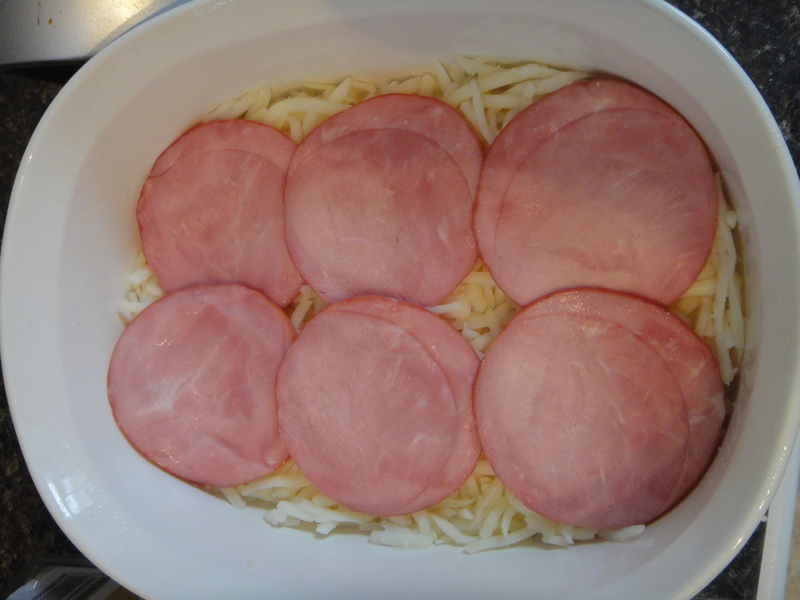 Top with back bacon. 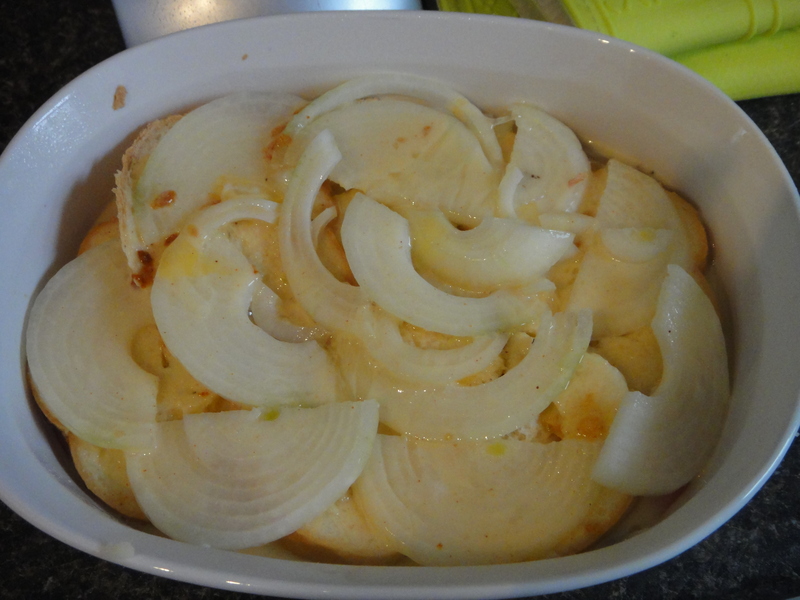 Add bread and top with onion. Beat eggs and milk together and season. Pour on top of the casserole dish. 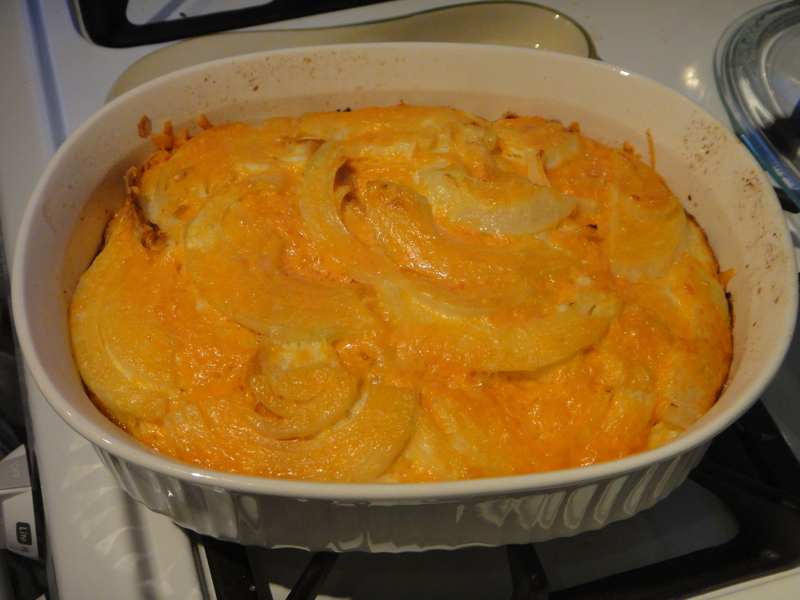 Grate cheddar cheese on top. Bake at 400 for approx 45-50 mins, until the dish is set and no longer wiggly. Serve warm. Enjoy! New Year, new resolution, right? I’m not so sure about that. I tend to find that when the New Year rolls around, and everyone talks about their resolutions, I get frustrated and disillusioned. Am I really going to change things about my lifestyle/habits that will make me healthier/skinnier/more happy? NO! I eat healthy already, I already go to the gym, and I lead a happy life. 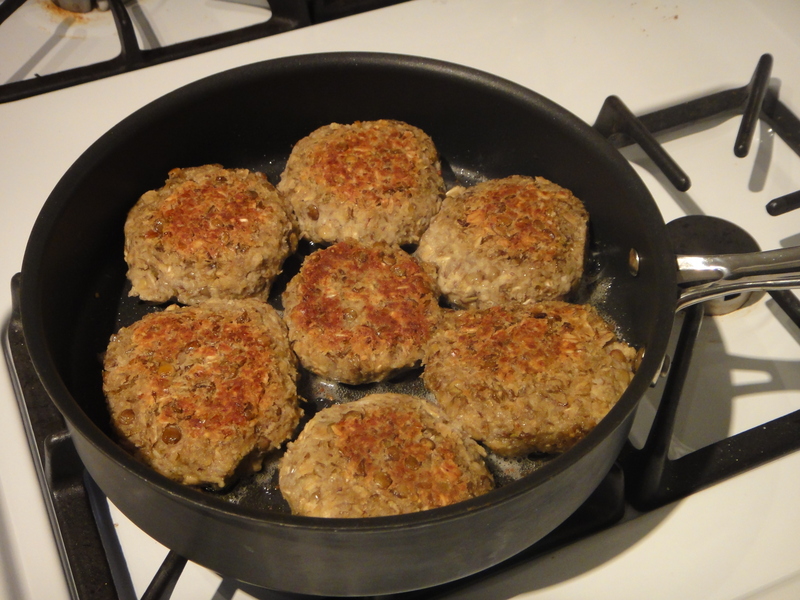 And so, I resolve not to make resolutions, and to continue to do what I always love to do – cook interesting and healthy food using local ingredients… like these lentil burgers! This month’s Canadian Food Experience Challenge is “a Canadian Resolution.” While I find resolutions dull and meaningless, these burgers are nothing of the sort, and extremely local! 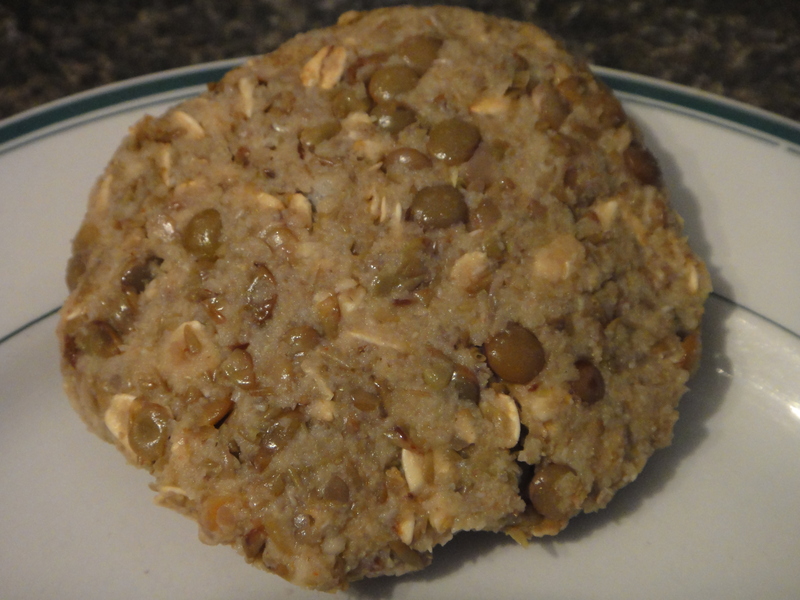 I used red lentils from Gold Forest Grains. These little legumes pack a powerful taste punch, and are pretty darn filling. Since I was making a lot and I have a tiny food processor, I filled it up to the top. 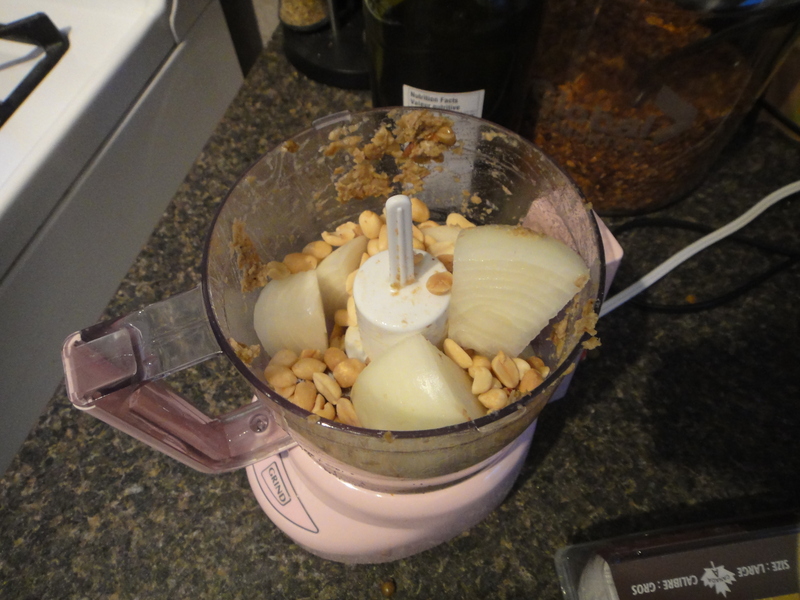 Then I had to add the peanuts and onion into another batch. 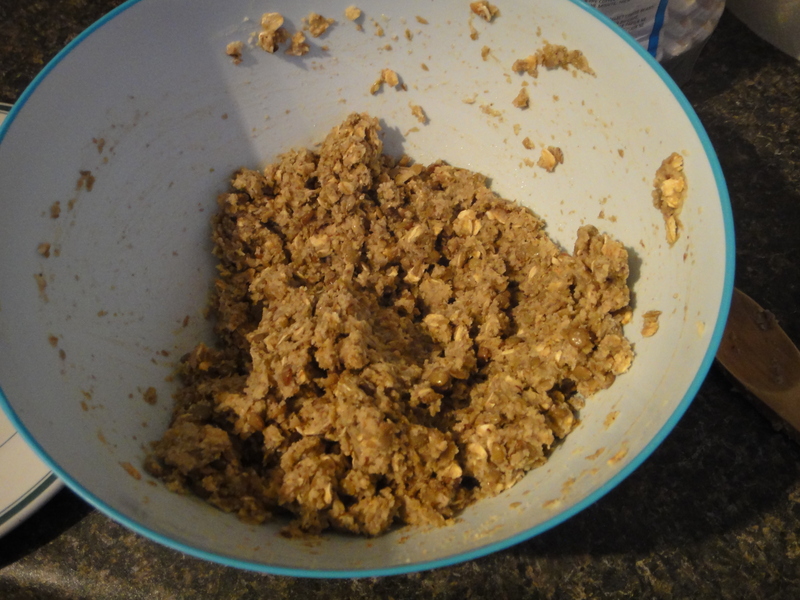 To thicken the burgers, I used oats and breadcrumbs. 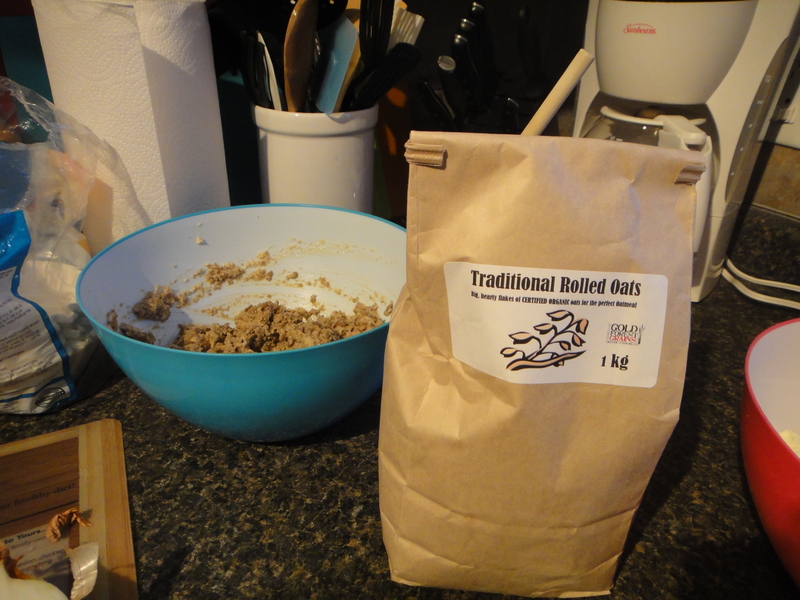 Of course, the oats were also from Gold Forest. 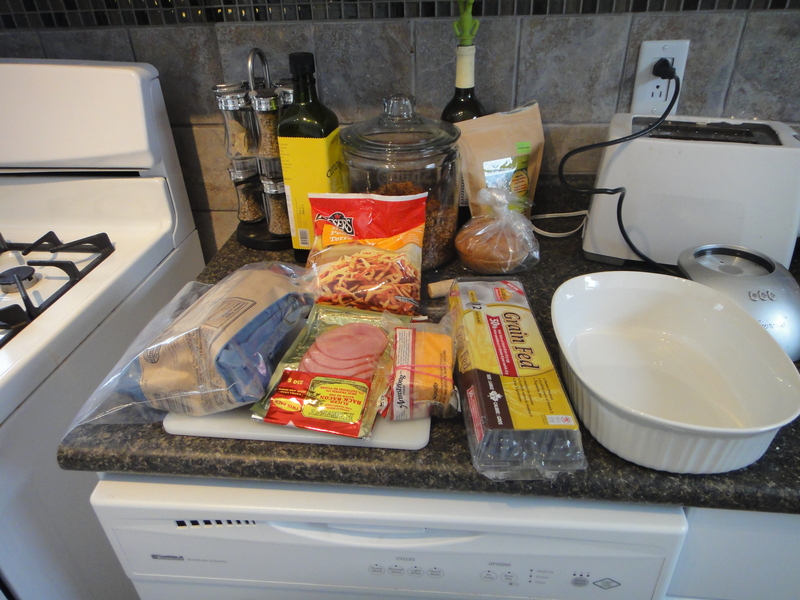 In goes all the ingredients. I mixed it up until it was thick enough to form a patty and hold together. Into a pan they went, with some sizzling local canola oil from Mighty Trio Organics. 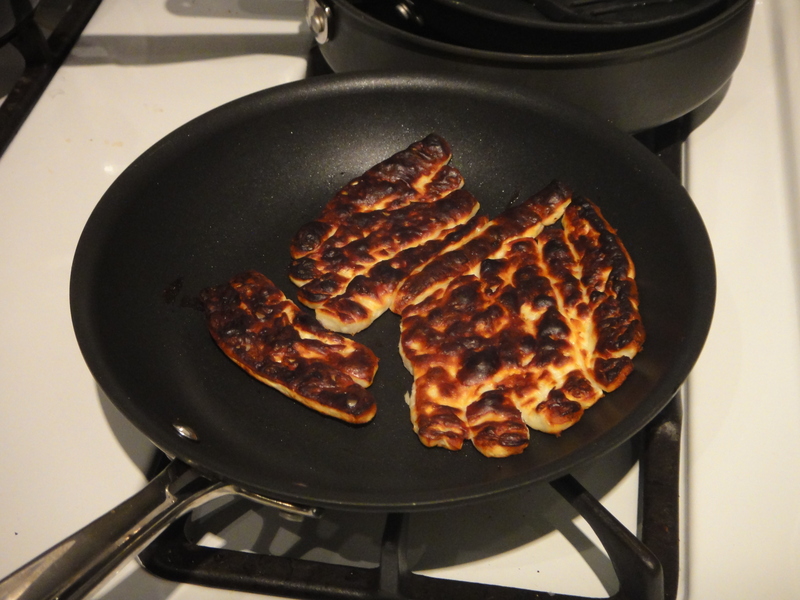 I even broiled some local Queso Fresco Cheese from Latin Foods Inc. as a topper. To finish and assemble, we pan fried some eggs, leaving the yolk soft and runny. These were top notch and delicious burgers. Perfect for any Canadian New Year’s Resolution! 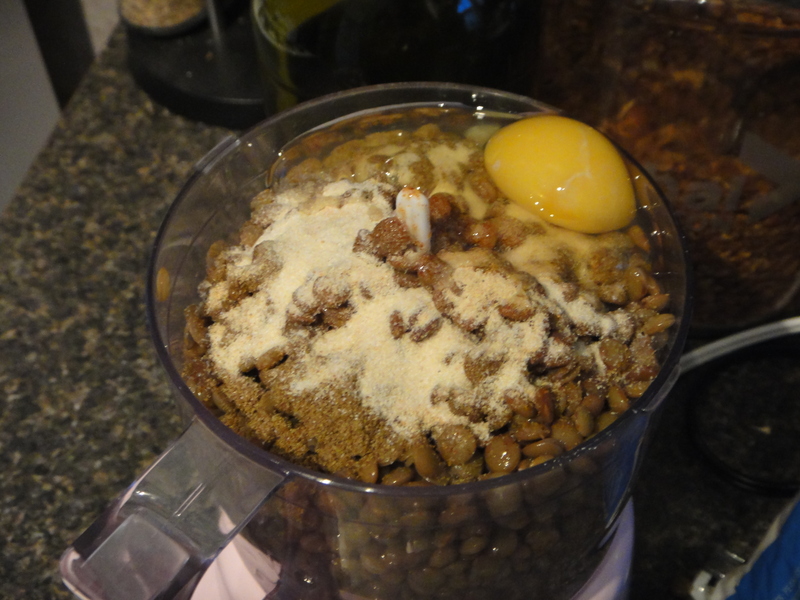 Soak lentils overnight in a lot of water. Drain and, using new water, boil for 15 mins. Drain again. Throw into your food processor. Add egg, peanuts, onion, and seasoning. Blend until combined. Transfer to a large bowl. 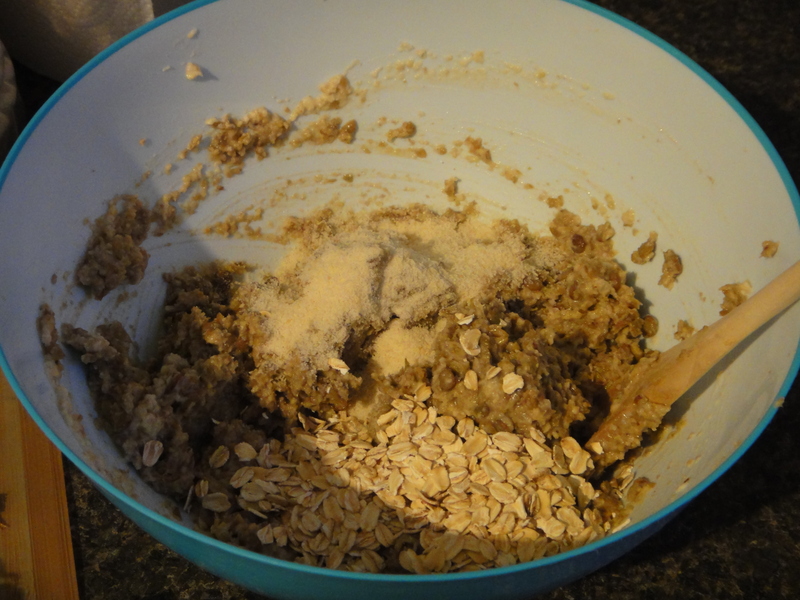 Add oats and breadcrumbs and stir to combine. Make sure that they are dry enough to hold their shape, but not so dry that they crumble. Heat oil in a large pan. Add burgers and fry, flipping once, until both sides are golden brown. 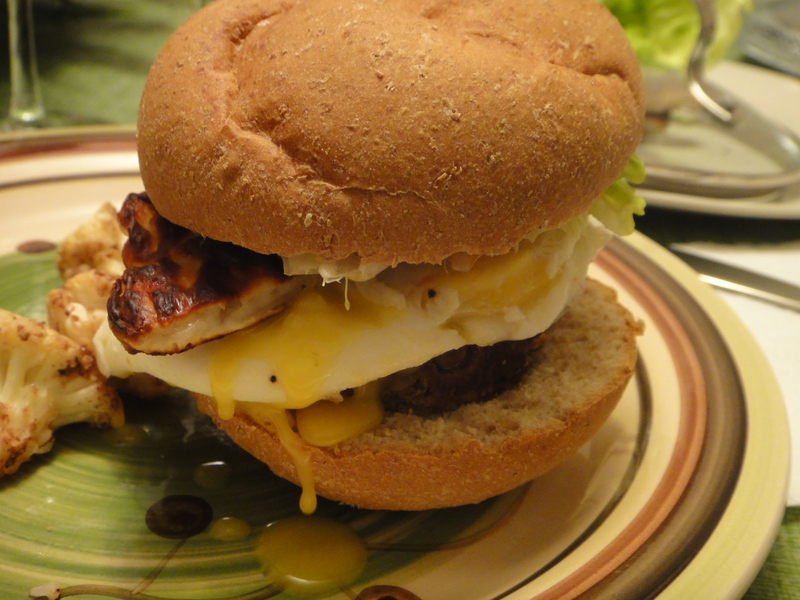 Serve on buns with your favourite toppings, whether that be fresh cheese, fried eggs, or the works.